The last appointment will be scheduled at 6 pm each evening. Space is limited, so call (865) 331-1450 to schedule your appointment today. The American College of Radiology recommends annual mammograms for all women over the age of 40. A mammogram is an x-ray image of your breast, which is often used to find and diagnose breast problems such as breast cancer, benign tumors, and cysts. 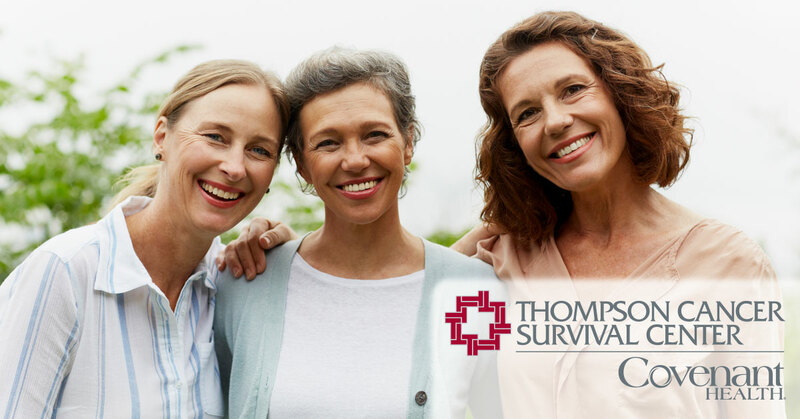 Thompson offers both digital 2D and 3D mammography. 3D mammography, also called tomosynthesis, creates a three-dimensional image of the breast. This imaging process allows the radiologist to see around and between dense breast tissue to better detect smaller cancers. 3D mammograms are covered by some insurance plans. Please ask when booking your appointment if your insurance plan covers 3D mammograms. The technology used for today’s mammograms is so effective that it can often detect breast cancer before a lump can be felt or symptoms appear. Mammograms are vital in detecting breast cancer early, which increases your treatment options and increases the likelihood of survival.